Dragon Boat Racing is exciting, adrenalin pumping, and beware – highly addictive! Whether you are looking for a team building activity for 22 senior managers, an interoffice challenge, icebreaker session for new employees, an intercompany competition, product launch or family fun day for 1000+ people. Race the Dragon tailor each event to suit your requirements and provide a unique opportunity to network. 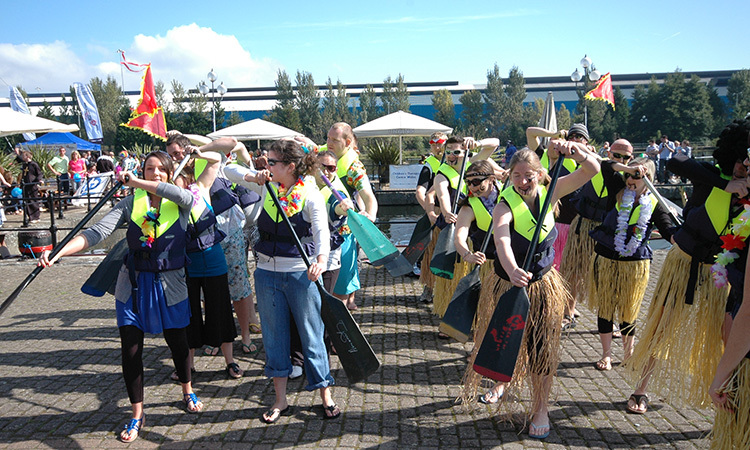 No previous experience of dragon boat racing is required, full training and safety briefings form part of the event experience. A minimum of 22 people are required, with a maximum of 1,000 plus people for the larger of events. Your event is made of teams, competing against each other, rivalry is encouraged but not at the expense of the ethos of the event. 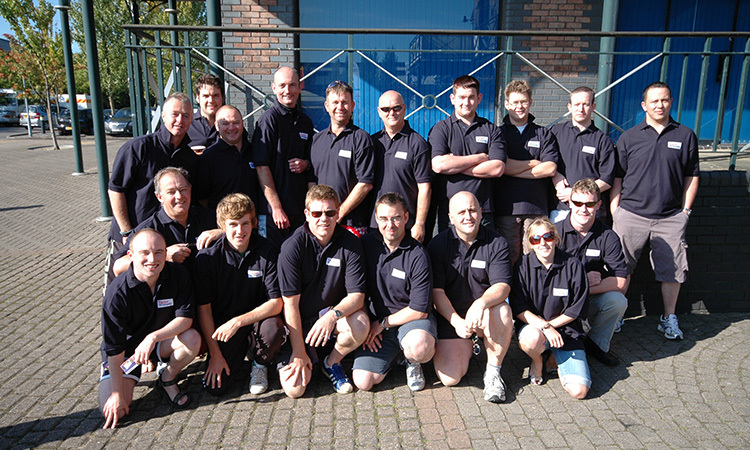 Events consist of teams, with the number of members of team ranging from 11 – 17 people. Each team has a drummer, to beat a steady rhythm and therefore an odd number is required for one person to be the drummer. Each team has a minimum of 2 races, where they race against other teams over a 200 metre race course. The fastest teams go through to the Grand Final. Chinese Dragon trophies are presented to the 1st, 2nd and 3rd placed teams; the winning team also receives specially designed Dragon Boat medals. Events range in size from 2 teams (22 people) to 60 teams (1,020 people) per a one day event, (subject to venue suitability). Where there is water, there is an event! Any lake, reservoir, dock, canal, river, sheltered harbour, marina, (subject to venue suitablity) with good vehicle access!, Recommend venues available in London and nationwide. Comprehensive site surveys undertaken. We provide the Dragon Boats, paddles, buoyancy aids, safety boat cover, qualified helms, instructors, safety boat drivers, marshals, timing officials, Competitor safety and technique briefing, Professional PA system and full race commentary, traditional Chinese awaking ceremony, event control marquee, race schedule, computerized results, ancillary equipment, authentic Chinese venue decoration, Chinese dragon trophies for 1st, 2nd, 3rd placed teams and specially designed Dragon Boat medals for the winning team, all equipment transportation, event safety management plan, risk assessment, £5m public liability insurance and professional event management. Optional extras include, refreshments, breakfast, lunch & evening catering, event photographer, DVD production, boat & event branding service, pontoons, team marquees, refreshment marquees, presentation stage, temporary roadway, crowd control barriers, large event screen displays, furniture, power and distribution, toilets plus much more. In fact, we make it our business to provide everything our Client’s request.